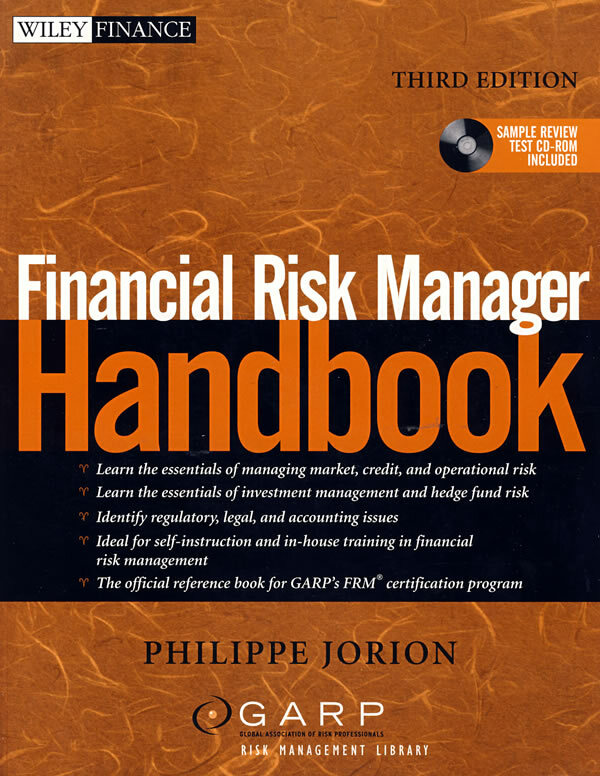 书籍简介: Risk Professionals looking to earn the Financeal Risk Managemet(FRM)certication,corporate training Programs,professors,and graduate students all rely on the Financial Manager Handbook for the Most comprehensive and up-to-date information on risk management. Filled with in-depth insight and practical advice, the Financial Risk Manager Handbook is the core text for risk management training programs worldwide. Presented in a clear and consistent fashion, this completely updated Third Edition--which now Comes with an interactive CD-ROM containing hundreds of multiple choice questions from previous FRM exams--is one of the best ways to prepare for the Financial Risk Manager (FRM) exam. The FRM is recognized as the world's most prestigious global certification program--created to measure a financial risk manager's capabilities. Since the FRM exam is an essential requirement for risk managers around the world, the Financial Risk Manager Handbook, Third Edition focuses on practical risk management techniques and solutions that are emphasized on the test--and are also essential in the real world. Questions from previous exams are explained through tutorials so that you may prepare yourself or your employees for this comprehensive exam and for the risk management challenges you will undoubtedly face at some point in your career. 作者简介：PHILIPPE JORION is Professor of Finance at the Graduate School of Management at the University of California at Irvine. He holds an MBA and a PhD from the University of Chicago and a degree in engineering from the University of Brussels. Dr. Jorion has authored more than eighty publications―directed towards academics and practitioners―on the topic of risk management and international finance. He is Editor of the Journal of Risk and is on the editorial board of a number of other financial journals. He has won the Smith Breeden Prize for research, the William F. Sharpe Award for Scholarship in Financial Research, and the Graham and Dodd Scroll Award. He has written the first and second editions of Financial Risk Manager Handbook, as well as Financial Risk Management: Domestic and International Dimensions; Big Bets Gone Bad: Derivatives and Bankruptcy in Orange County; and Value at Risk: The New Benchmark for Managing Financial Risk.